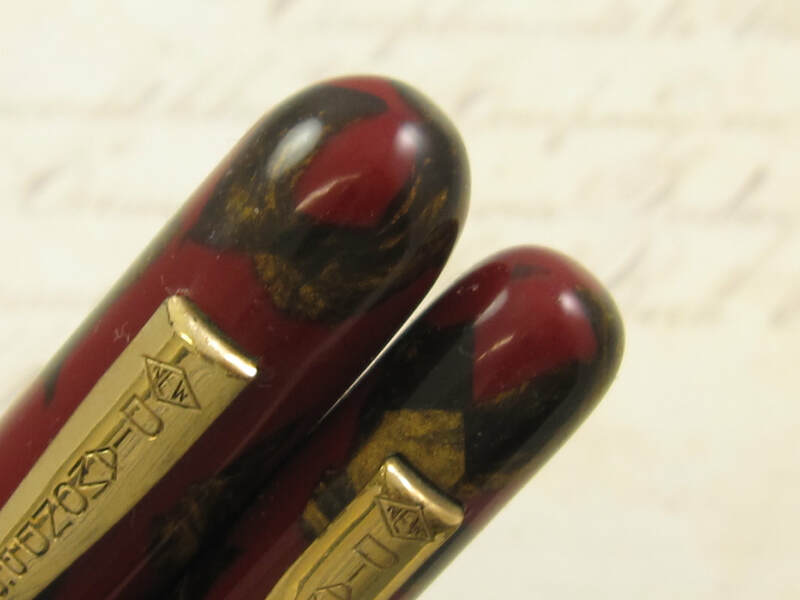 At the moment, there are some great looking Diamond Point pens available for sale. There is very little information available about this pen brand. 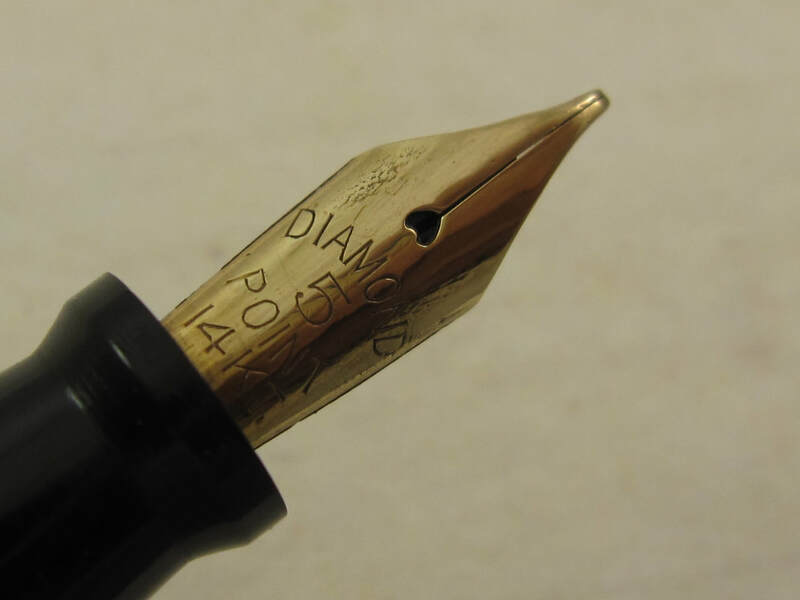 For those of you not familiar with this wonderful fountain pen brand, please check the following link ... DIAMOND POINT REVIEW ... 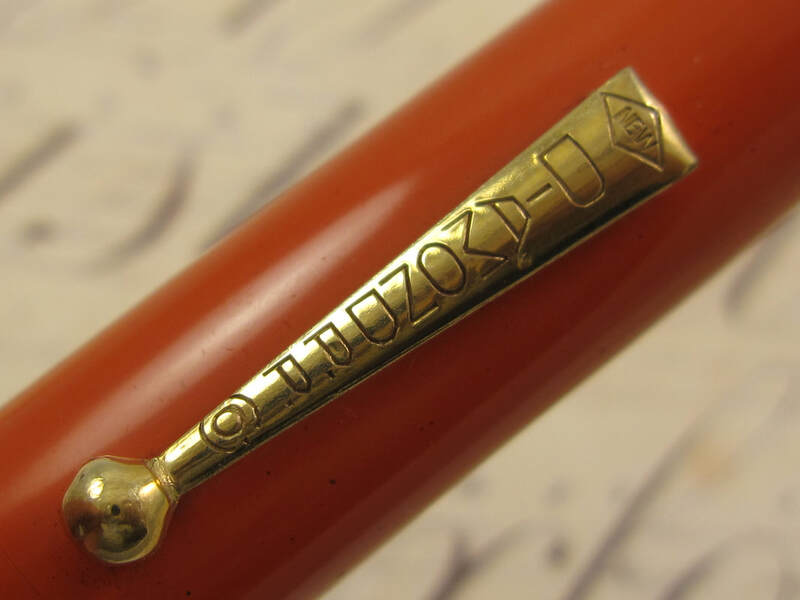 It has a lot of information and pictures about this pen brand. Hope you enjoy it. 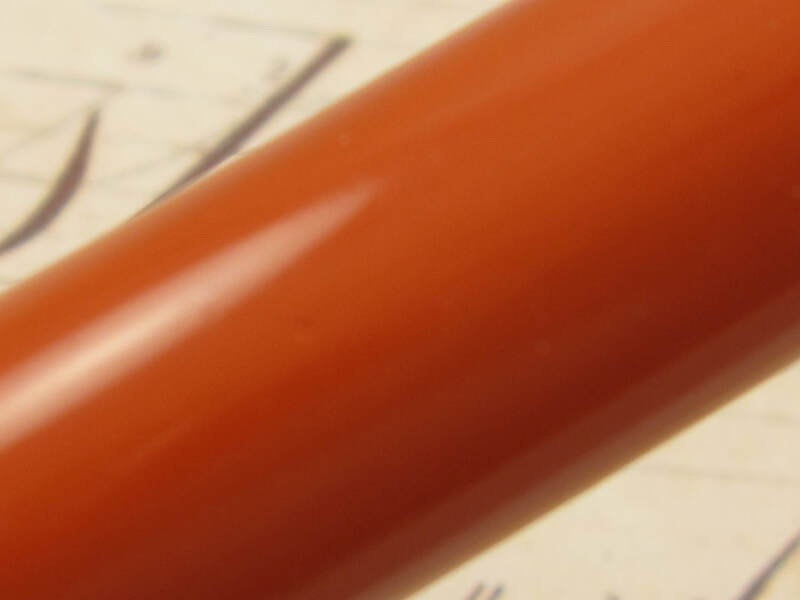 COMMENTS: Diamond Point flat-top oversized pen in orange hard rubber and gold trim. 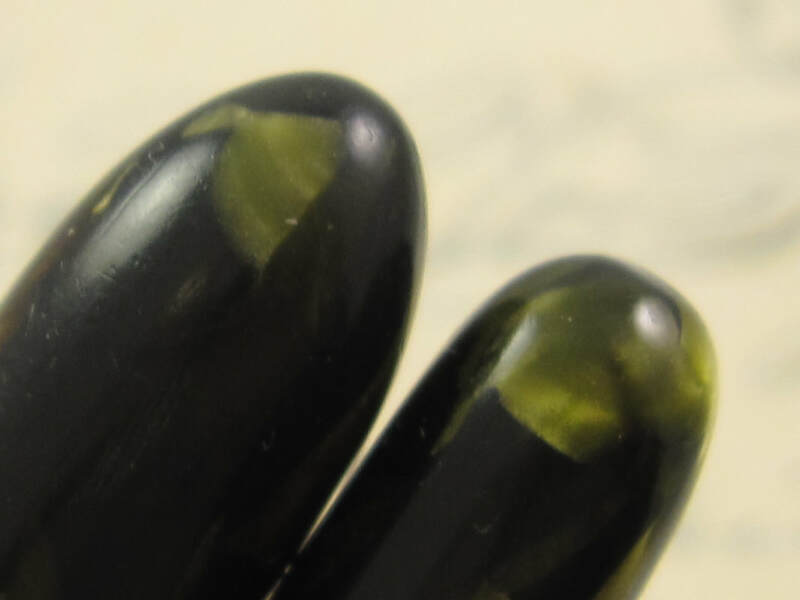 Black ends and a slim gold band by the cap lip. 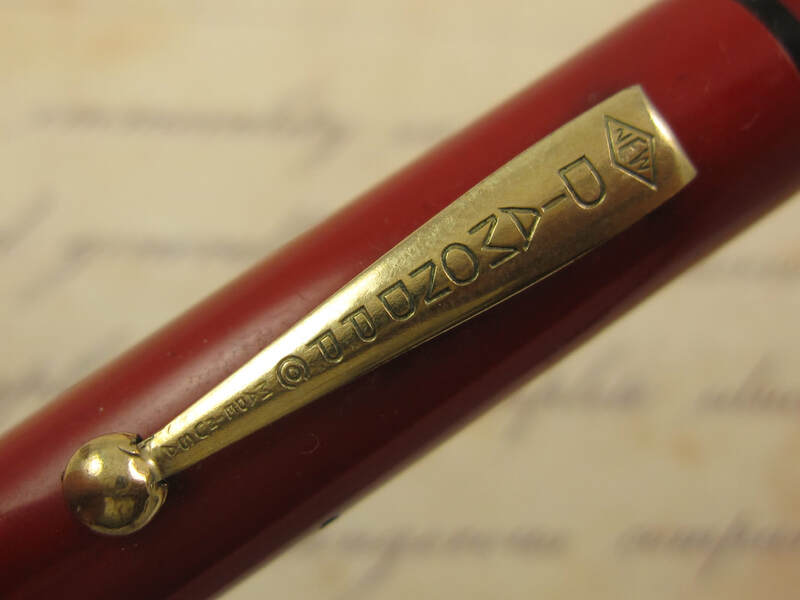 Fitted with a 14k Diamond Medal #8 nib that writes a medium line, rigid nib. Professionally adjusted nib, ultra smooth. This is a huge nib for vintage standards. This is a replacement nib. 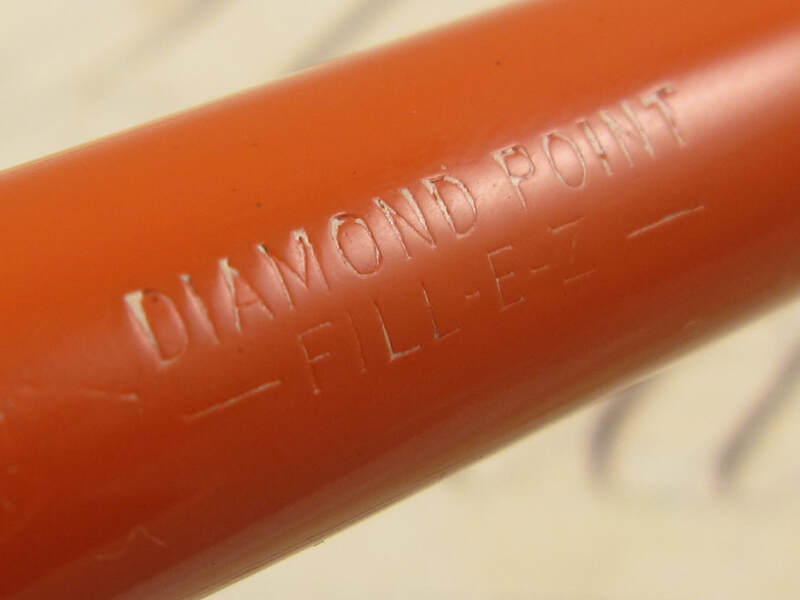 Diamond Point and Diamond Medal were two different pen companies. The lever and gold band by the cap lip have some gold plating loses. Other than that, this pen is in amazing condition. 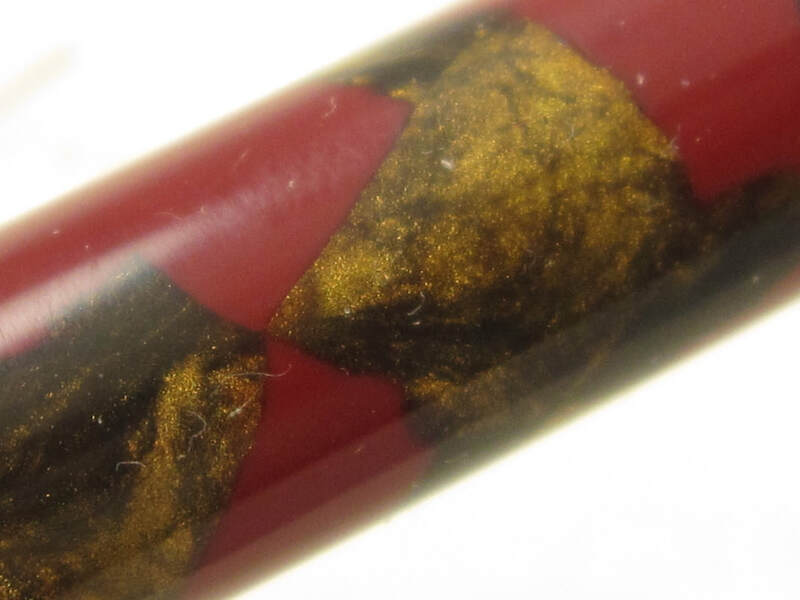 The fact the pen material is hard rubber and not celluloid adds significant weight (heft) and value to this sample. Moreover, the condition and its amazing color add further value. Lever filler. New sac. Made in the USA in the 1920s. 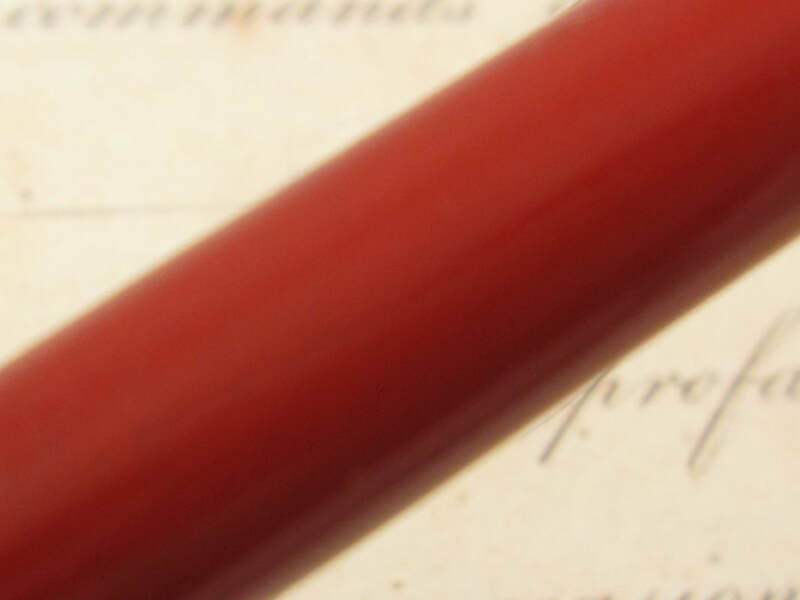 COMMENTS: Diamond Point flat-top fountain pen in green celluloid with red bands on both ends of the pen. Gold trim with a medium sized gold band on the cap. 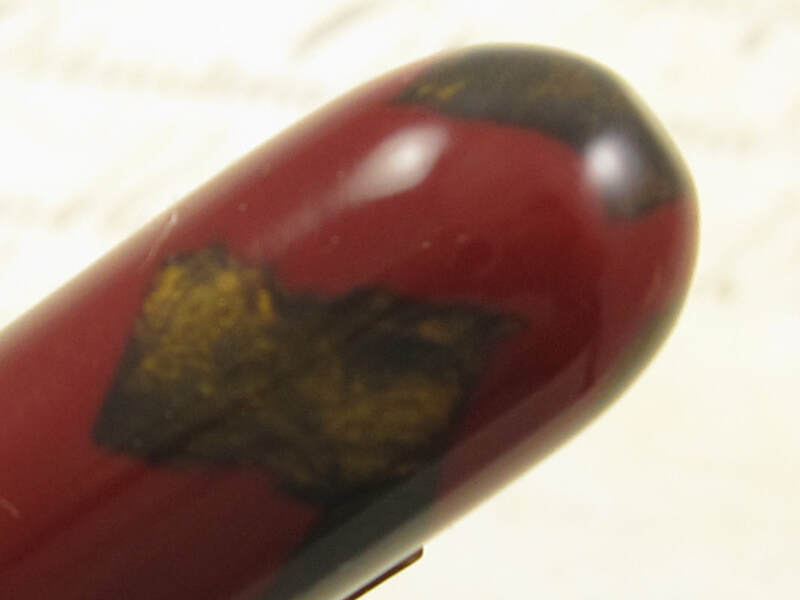 This is a very unusual and gorgeous celluloid color. Oversized pen in terms of length (measures 5 1/2" capped), and a full sized pen in terms of diameter. Fitted with a 14K Warranted medium flex nib that writes a fine to double broad line. Professionally adjusted nib, ultra smooth and capable of writing at any speed when not flexed. This pen is in awesome condition. Lever filler. New sac. Made in the USA in the 1920s. 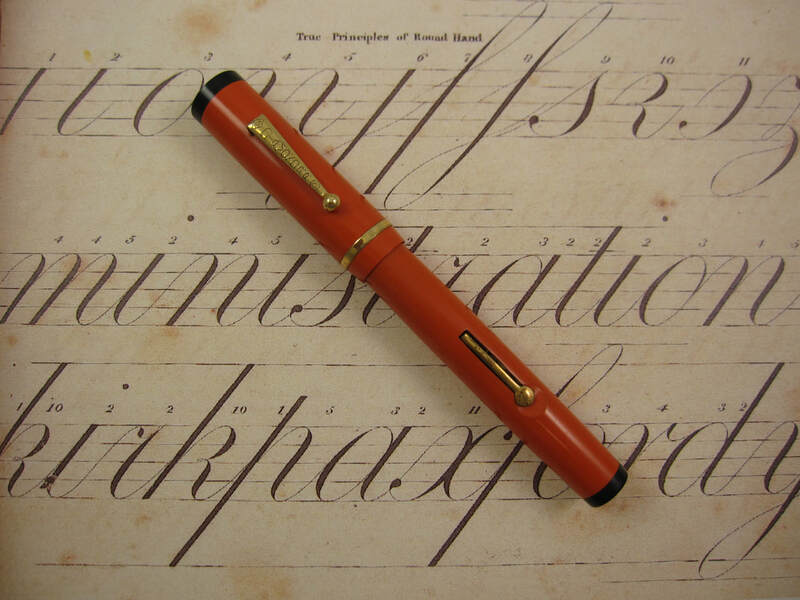 COMMENTS: Diamond Point flat-top fountain pen in red celluloid, black bands on both ends and a medium sized gold band by the cap lip. Gold trim. Full sized pen. Fitted with a 14K Warranted superflex nib that writes a medium fine/medium to double broad line. Smooth nib, capable of writing at any speed when not flexed. 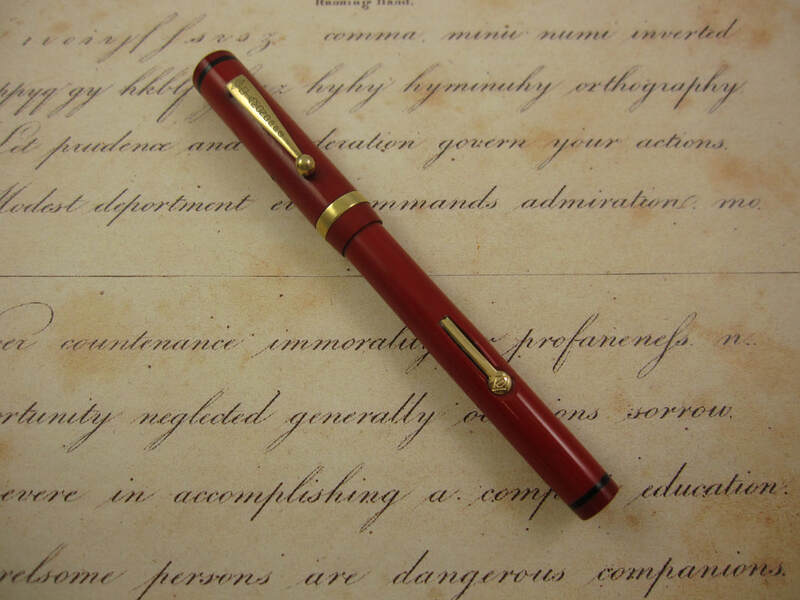 Absolutely gorgeous pen exterior color and pen profile. 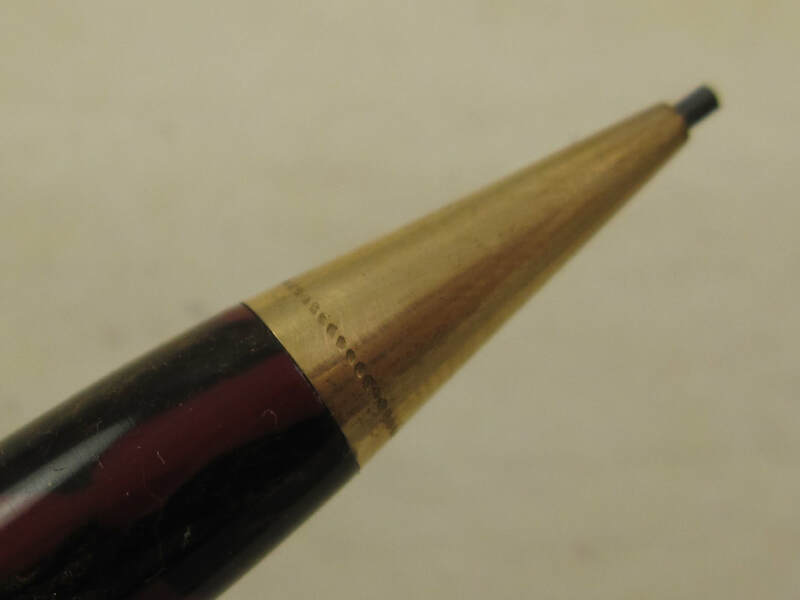 Other than a couple of very small nicks on the flat end of the cap, this pen is in extraordinary condition. Lever filler. New sac. Made in the USA in 1920s. 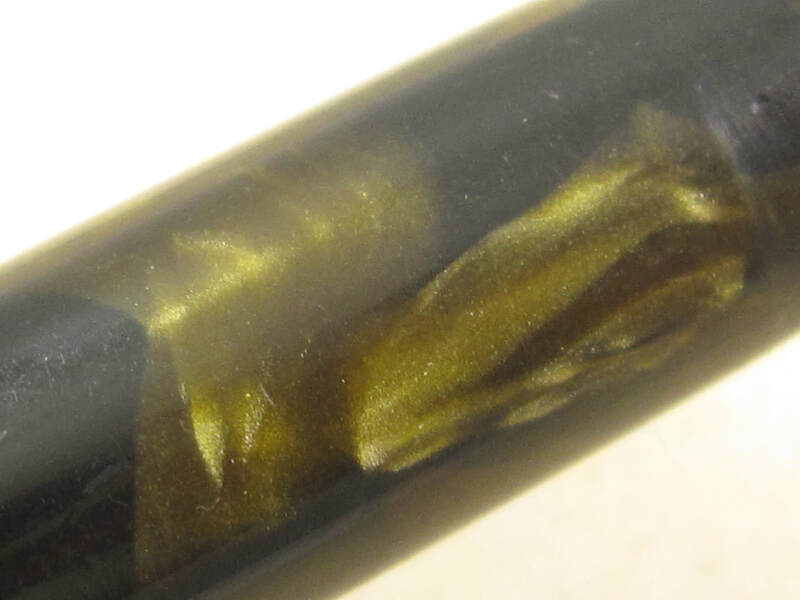 Nib Type: Superflex B Stub Imprints: None Length: 5 5/16"
COMMENTS: Diamond Point fountain pen set with domed ends and gold trim. 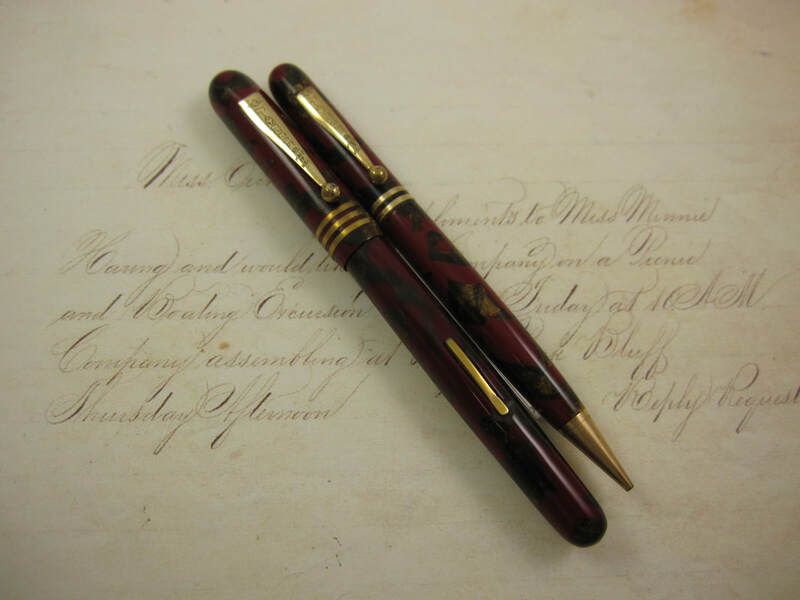 Marbled red and bronze celluloid. Three slim gold bands by the cap lip. Fitted with a 14K Diamond Point #5 superflex B stub nib. 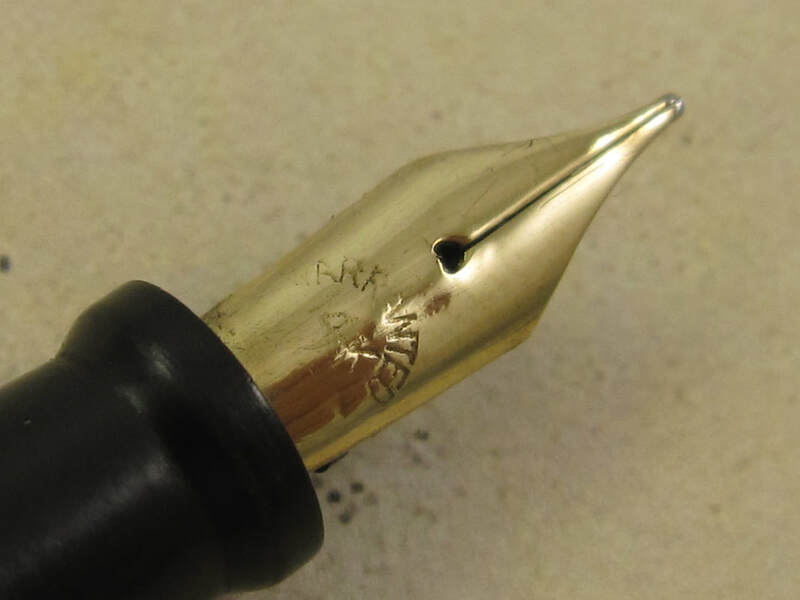 When not flexed, this nib produces a broad line in the down strokes and fine lines in the side strokes. When flexed, it produced BB/BBB lines in the down strokes and fine lines in the side strokes. Smooth nib, capable of writing at any speed when not flexed. 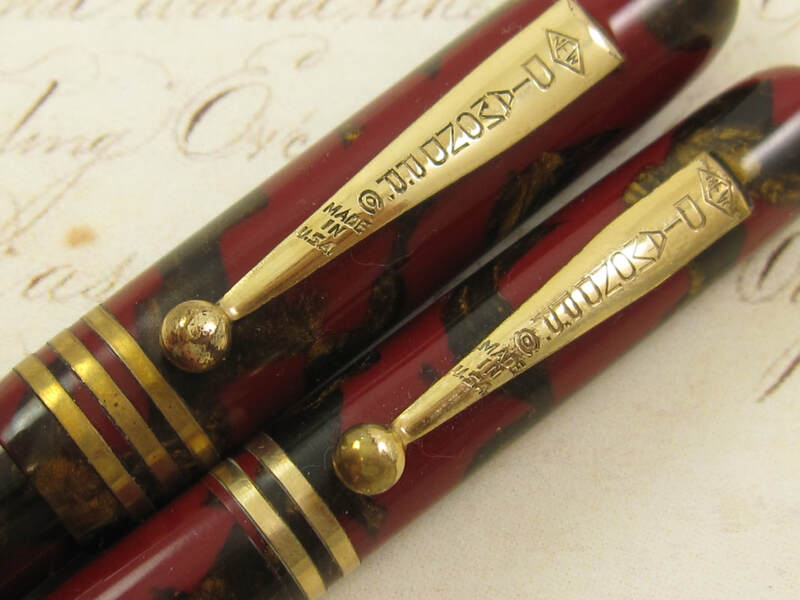 Absolutely gorgeous celluloid color (the focal point of this pen set) and pen profile. 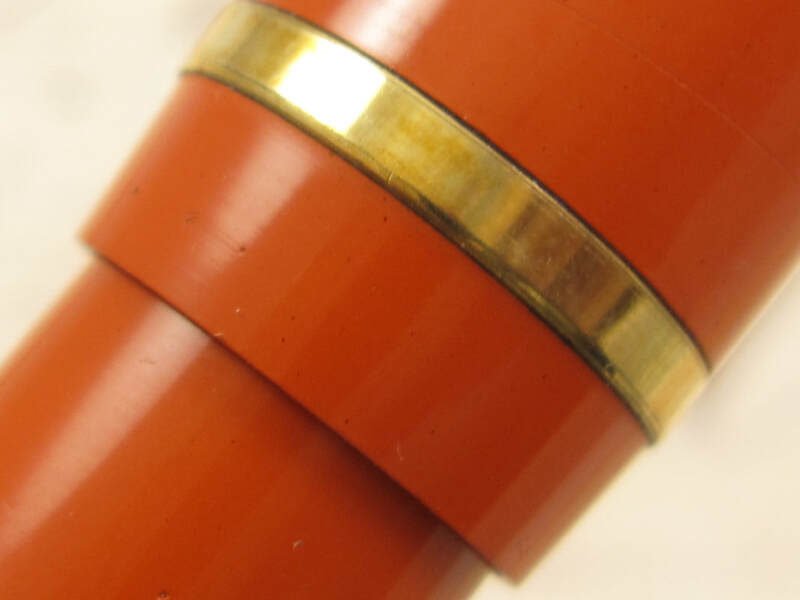 This celluloid and gold trim are in awesome condition. Lever filler. New sac. Mechanical pencil uses the twist mechanism, it is fully operational and in wonderful condition as well. Made in the USA in 1930s. 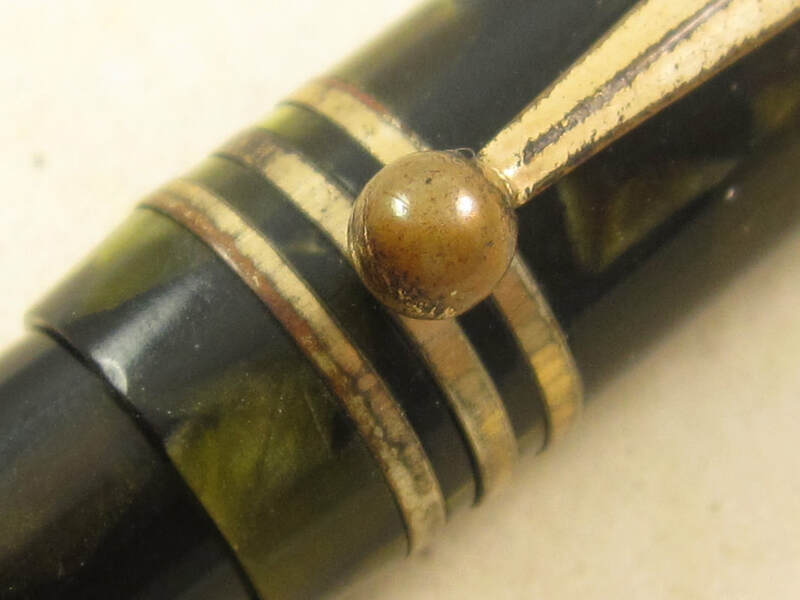 COMMENTS: Diamond Point fountain pen with the domed ends in marbled green celluloid and gold trim. Three slim gold bands by the cap lip. Fitted with a 14k Warranted wet noodle nib that writes a medium to double broad line. Smooth writing nib and capable of writing at any speed when not flexed. 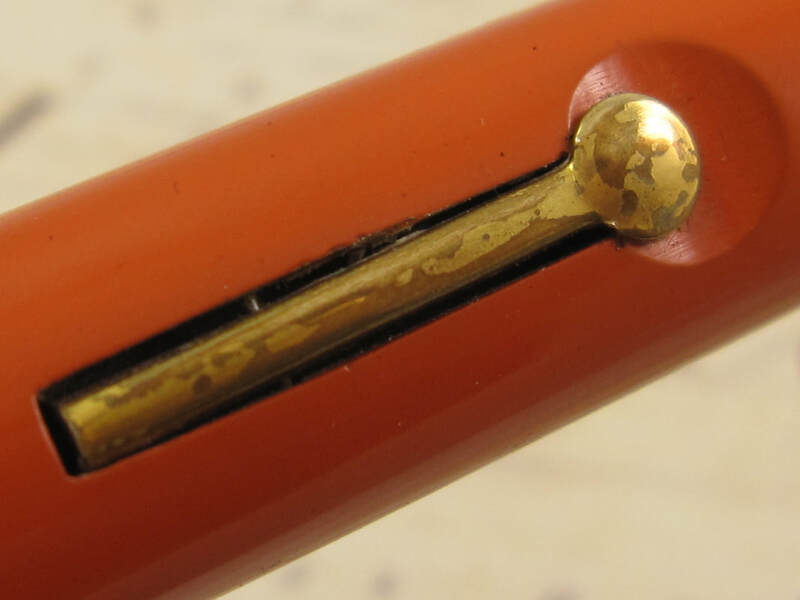 This pen has some cosmetic flaws: The gold trim has some tarnish and gold plating loss. 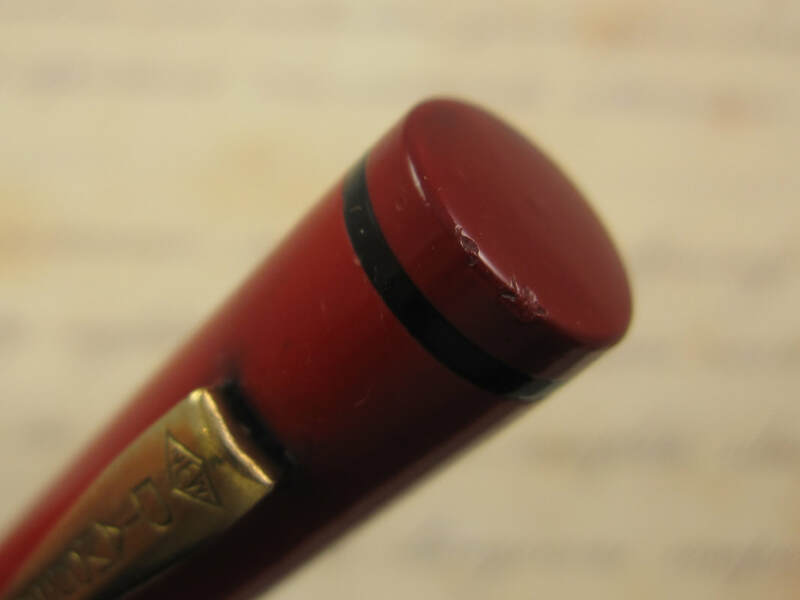 The clip is slightly sprung, and the exterior of the pen has scratches and signs of wear. Pen has been fully serviced and is fully operational. Pen measures 4 1/2" long (capped) and 5 3/8" (posted). Lever filler. New sac. Made in the USA in the 1930s. 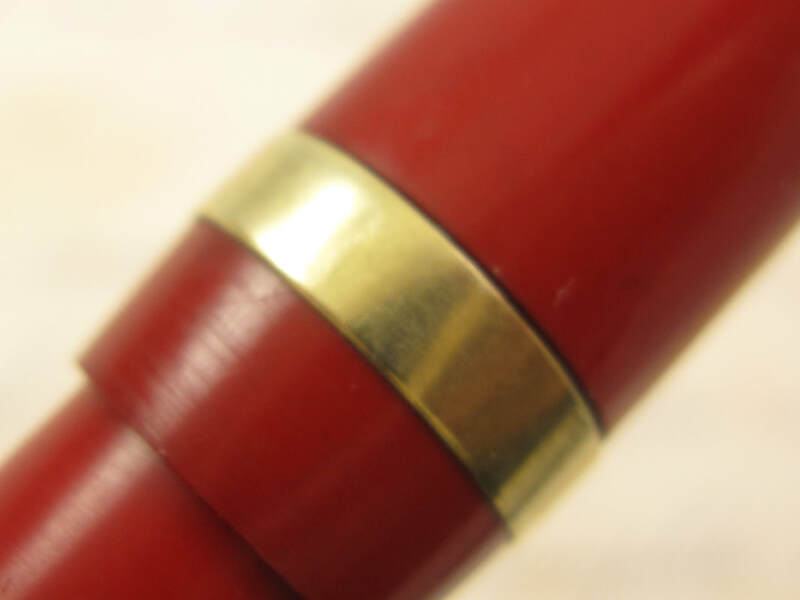 Nib Type: Superflex B-BB Imprints: No Length: 5 5/16"
COMMENTS: Eclipse flat-top fountain pen in Red Mottled hard rubber and nickel trim. Fitted with a 14k Warranted superflex nib that writes a broad to double broad line. Smooth nib, capable of writing at any speed when not flexed. 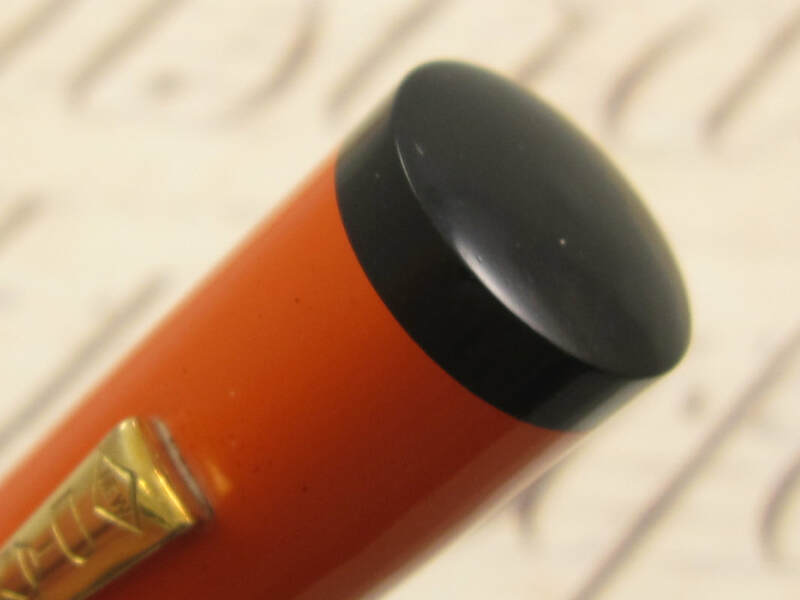 The tipping in this nib is fairly rounded, making an ideal nib to an over writer, to someone who likes to write extremely fast or to someone new to flexible writing. 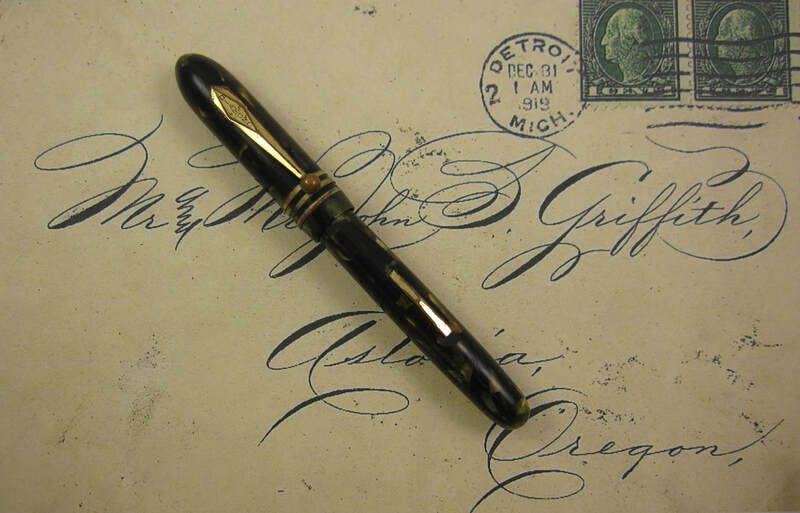 This is an extremely clean pen in a very desired color and with a 14k vintage flex nib. Lever filler. New sac. Made in USA.